After a busy day of site seeing in the 1000 Islands come back and relax in the largest pool in Eastern Ontario. 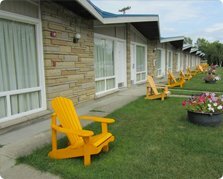 Sit outside your cottage style hotel room in one of our comfy Adirondack chairs. Sleep with ease knowing that your car, truck or motorcycle is safely parked right outside your door. Wake up refreshed to the birds singing, take a walk on our beautifully landscaped 10 acres then enjoy a delightful continental breakfast which is included in your room. We feature 77 hotel rooms, we can accommodate for fury family members. 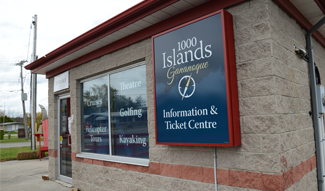 We also have parking with hookups for your boat or RV. 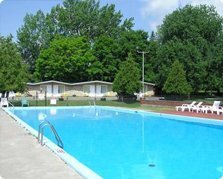 Located on the easterly end of Gananoque, the Ramada Provincial Inn is easily accessible and close to local attractions. 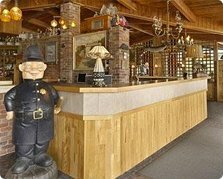 After a day in the 1000 Islands, relax at Ramada Provincial Inn for welcoming service and a host of amenities waiting to help you refresh and get ready for the next day.